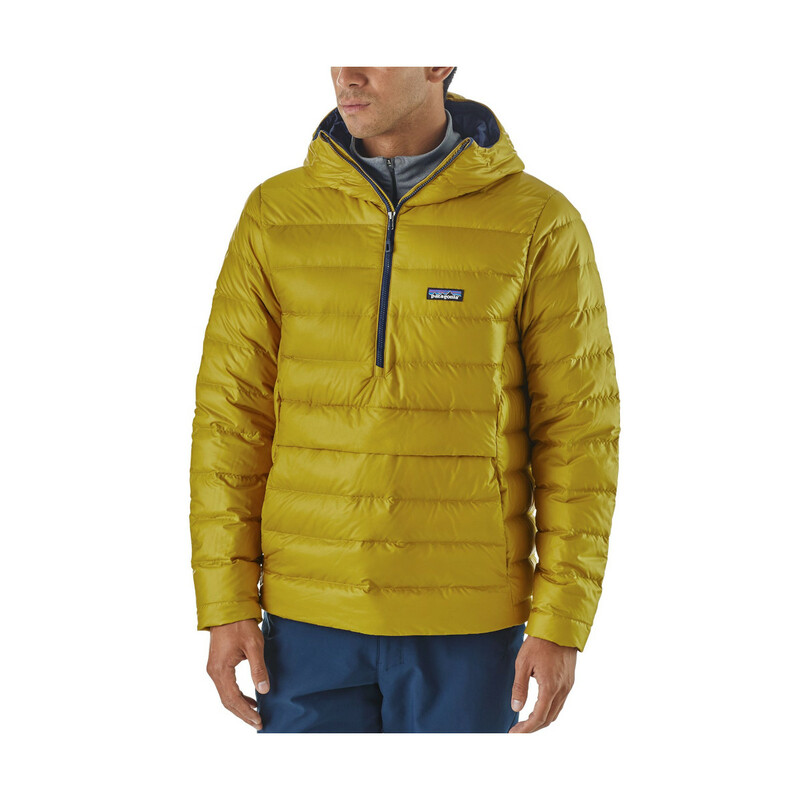 The Patagonia Down Sweater Hoody Pullover is the pullover version of the Patagonia's classic down sweater hoody jacket. 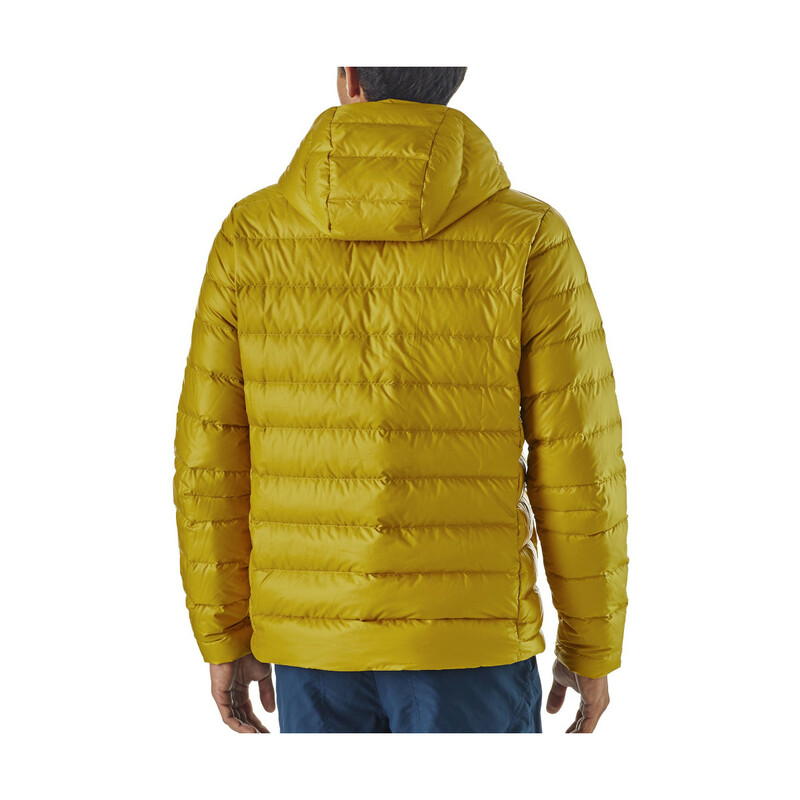 In absence of a front zipper, the pullover design provides greater warmth when compared to the Down Sweater Hoody Jacket. 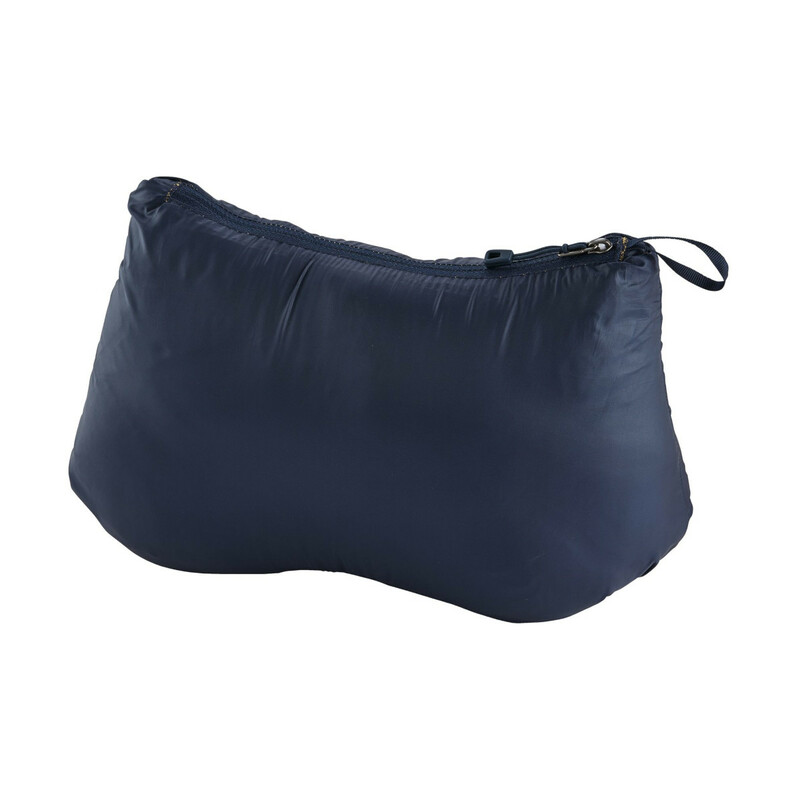 Featuring a large kangaroo-style zipped hand-warmer pocket and ventilating side zips if you get a little too warm. 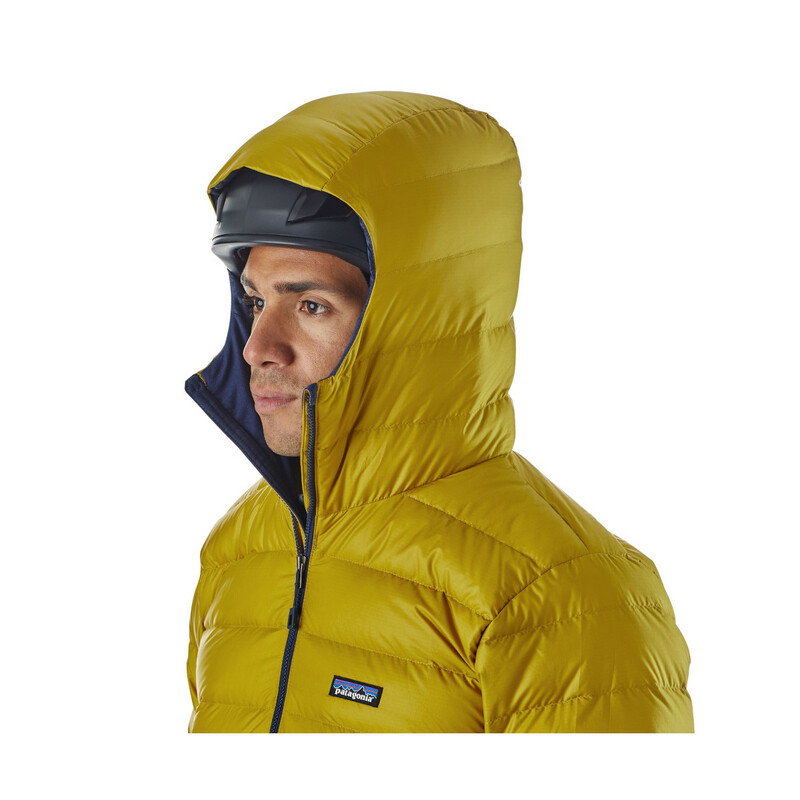 Lightweight and windproof, the 100% recycled polyester DWR treated ripstop shell is packed with 800-fill-power traceable down, giving this jacket great tear and abrasion resistance, water-resistance and loft. • Shell: 1.4-oz 20x30-denier 100% recycled polyester ripstop with a DWR finish. 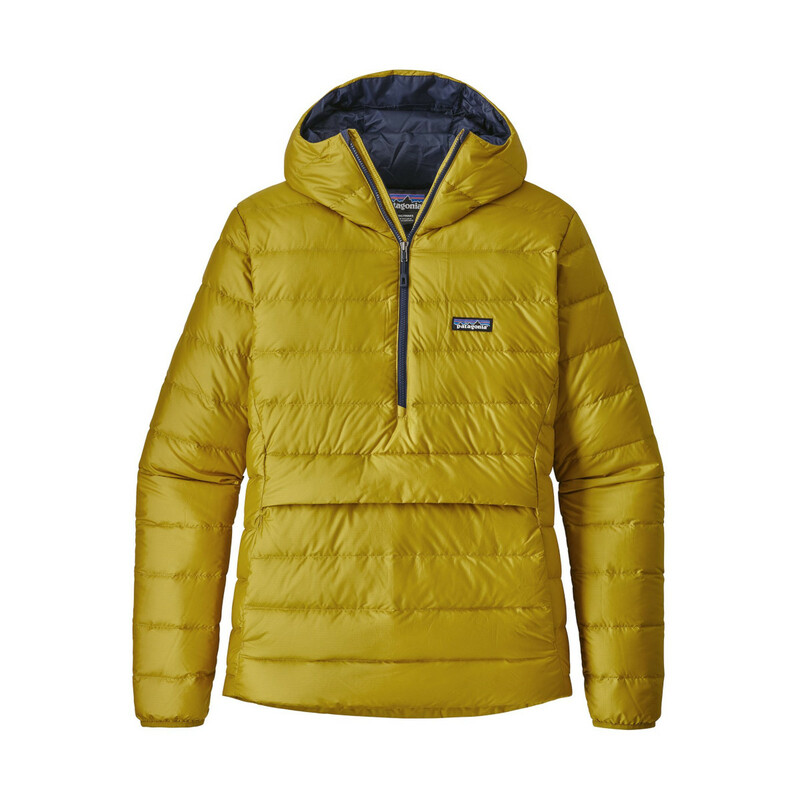 • Lining: 1.4-oz 20-denier 100% recycled polyester ripstop with a DWR finish.